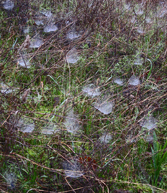 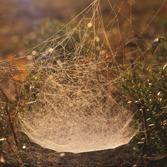 This family of spiders typically constructs a flat, sheet-like web close to the ground, with an attached funnel-like hideout. 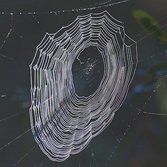 The web is often supported by grass or small tree branches, or may be constructed inside a shelter such as a tree trunk crevice or between rocks. 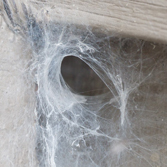 These spiders conceal themselves in the narrow end of the funnel and wait for insects to stumble onto the web. 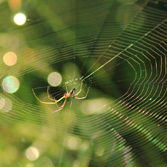 When the spider senses a vibration, it charges out and subdues its victim with a paralyzing bite. 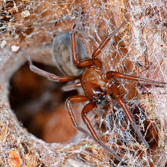 Most have long spinnerets that extend beyond the posterior abdomen. 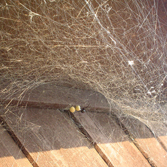 Most members of this family have four eyes arranged in a middle row with two widely spaced eyes below this line and two narrowly spaced above.